Performers: NGHTMRE, Audien, Borgeous, 3LAU, GALANTIS, HARDWELL, Marshmello, Cash Cash, Jauz, THE CHAINSMOKERS, JACK Ü. 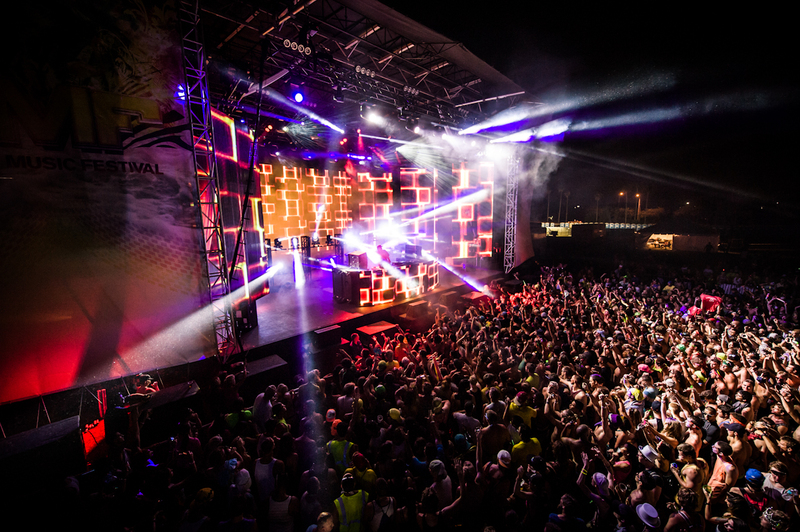 A thousand and two-hundred miles Southeast to Lake Forest College, Tampa’s Raymond James Stadium hosted what was perhaps the greatest Sunset Music Festival in its history. Headliners like GALANTIS, HARDWELL, THE CHAINSMOKERS, and JACK Ü were expected throughout the weekend while other DJs, such as Cash Cash, Jauz, among others were performing during the day. Compared to other festivals, SMF is located close to the urban area of Tampa, which makes it easy to find places to sleep and eat. It is easier to find the entrance to the stadium and relatively easy to find each of the auditoriums once inside. While security is arguably easy-going, people inside the festival are what really brought this place to life. There was a wide range of people, a guy on a wheelchair passing through the middle of Sunset stage towards the front, a 50-years-old looking guy dancing to the beat of GALANTIS, and overall a great atmosphere on the audience. Great vibes, people offered water, gum, and cigarettes to one another. During Saturday performances, in the shadow, around 90 degrees made everyone sweaty. Yet, the weather didn’t stopped them from jumping to the sick beats of each of the DJs there. NGHTMRE’s drops of dubstep melted perfectly with the ambiance of the vibes while sunset was occurring at the horizon. Divided by the VIP area and the General Admission area, everyone seemed to enjoy Borgeous and 3LAU right after when still drops where coming. To finish the first day, GALANTIS presented a combination of mixes from mellow trance to some hard shuffle finalizing with HARDWELL’s classical combination of shuffle with techno-beats. There is a space of 5-10 minutes between each DJ at the same stage, which given the conditions of the stadium, is perfect timing in case you want to change from one stage to the other. During Sunday, Marshmello seemed to light the audience up with some mellow beats, having almost all the festival dancing to his drops. Cash Cash, similar to the following Jauz, provided a bit of dubstep and highly energized drops; something traditional in Jauz’s style. While my personal experience was excellent, because I found people who were taking care of one another, good vibes from other guys just trying to dance as I was doing, friends, peace, and love, not everything is pink. Following the festival, two people passed away from drug overdose (may they rest in peace) and more than 30 were hospitalized for dehydration. As a recommendation, if you happen to go to one of this festivals, enjoy the music and don’t be stupid: hydrate yourself, literally everyone can give you water, know your what you can and cannot do. Enjoy the DJs and have fun.